Flyback certified, self-winding mechanical movement. Here is our « ADVENTURE », chronograph, Flyback certified. 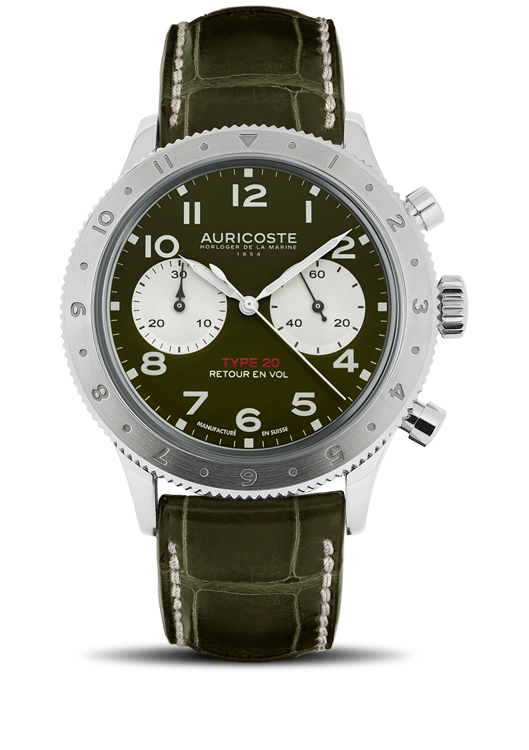 Military watches enthusiasts will appreciate this watch especially designed for a specialized public. A watch of everyday situations, considering both the design and the fact that it fulfils the expectations of a prestige watch. The case and the bezel have been designed in a perfect 316L steel. Size: 42mm. The watch feature a genuine alligator strap and a steel deployment clasp. The movement is a Dubois-Depraz self-winding mechanical Flyback certified, 57 jewels and a 52 hours power-reserve.